There are so many factors that can contribute to our risk of experiencing a stroke; genetics, ages, and lifestyle habits. Despite these risks, there are preventive steps that all of us can do to reduce our risk. Here are some key factors to consider that will help you to avoid becoming a victim of a stroke. Regular exercise may be the most important thing that you can do to avoid having a stroke. Staying active sharpens the mind, as well as the body. It is easy to become complacent with our workout regiment, or even down right lazy for that matter. Our dreams of getting back into great shape may be difficult to realize in our busy day-to-day lives. We’ve all been there — we push back walking today, and make excuses that it’s way too cold the next. Not realizing that it is particularly a mental challenge we are facing, and we are only hindering ourselves. You don’t need to be able to run a marathon. However, it is important that we all work to adopt a moderate exercise routine. Setting up goals with a trainer, joining a gym, or simply walking for 30 minutes a day will help you sustain a healthy lifestyle. Yes, that double-bacon-extra cheesy-barbeque-fried chicken burger sounds so appetizing right now. However, if you think about the risk factors of having a stroke, you may just want to grab a hand full of blueberries instead. Antioxidants are super foods in the fight against stroke; dark chocolate and garlic are few of these food options. We all heard the saying “an apple a day keeps the…stroke away.” Well, sort of. Eating apples and pears are also a good source of nutrition that will help keep you healthy. Ask your doctor about the benefits of Vitamin D and cutting back on your salt and coffee intake. 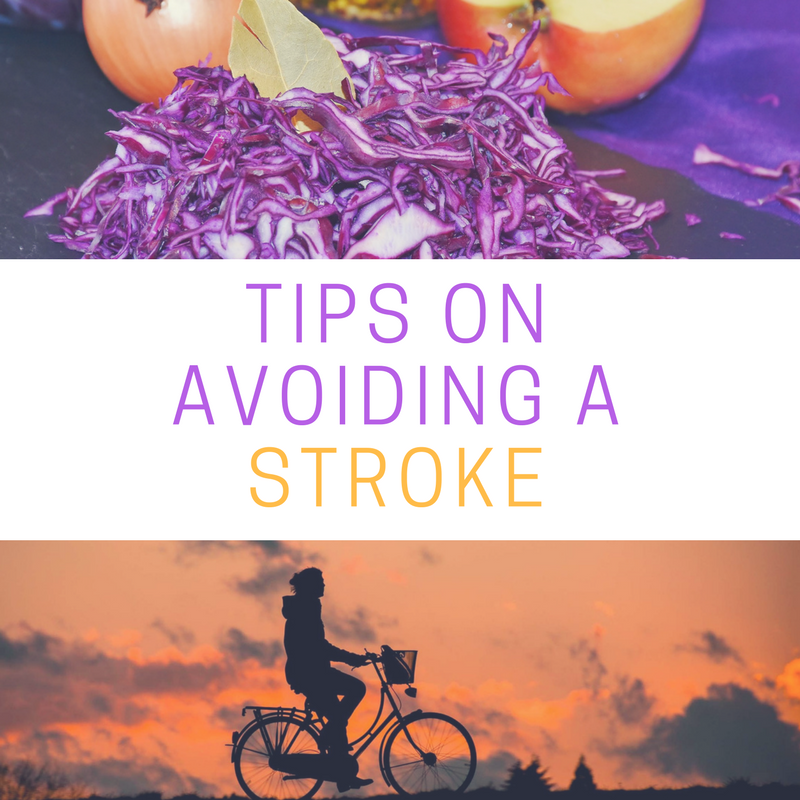 Again it may not be easy, but it can help in lowering your risk of having a stroke. Avoid smoking. It is understood that no adult likes to be told what to do; however, if you are serious about having a healthy lifestyle, then stop smoking — or better yet, don’t start. Work on lowering you blood pressure. Staying active and eating healthy will help you succeed in this area. Also talk to your doctor if you have a history of anxiety or depression. Monitoring these diagnosis is crucial to keeping stress away. Pallarito, Karen. “17 Surprising Things That Affect Stroke Risk.” Health.com. Health.com, 22 May 2013. Web. 31 Mar. 2017. <http://www.health.com/health/gallery/0,,20658381,00.html/view-all>. Publications, Harvard Health. “7 things you can do to prevent a stroke.” Harvard Health. N.p., n.d. Web. 31 Mar. 2017. <http://www.health.harvard.edu/womens-health/8-things-you-can-do-to-prevent-a-stroke>. Seniors & the elderly, individuals with physical disabilities, those recovering from illness, injury, or stroke. Persons with Alzheimer’s, Dementia or those in Home Hospice Care. Respite care, companionship, meal preparation, bathing & hygiene, transportation, light housekeeping, dementia care and support and stroke recovery care.